Atrial fibrillation ablation is a highly complicated and technically challenging procedure. Common to all of these procedures is electrical isolation of the pulmonary veins, which are typical sources of atrial fibrillation. In many cases, however, additional areas undergo ablation. The procedure is generally performed under general anesthesia, and takes many hours, especially in more resistant cases. The procedure involves the insertion of multiple catheters into the femoral veins. Intracardiac echocardiography and an electro-anatomical mapping system aid in the procedure. -- Introduction by Dr. Mark Marieb, system director of the Heart & Vascular Institute's Electrophysiology Lab. A: The procedure takes many hours, especially in patients who are in persistent atrial fibrillation. A bulk of the time is taken in setting up the patient, placing them under general anesthesia, inserting catheters, creating a geometry of the heart, mapping the signals, and eventually performing the ablation. Procedures can take up to 8 hours. Q: How long am I kept in the hospital after the procedure? A: Most patients are discharged on the following day, although if there are additional issues occurring after the ablation patients can be kept for few days in the hospital. A: This varies. Some patients feel fairly well the following day. However many patients feel as if they were "hit by a truck". Patients are often fatigued and can have some chest discomfort. We recommend taking an average of one week off from work although this will vary. Q: Why are blood thinners continued throughout the procedure? A: This is been shown to be the safest way to do the procedure. Although bleeding may be more likely the chance of a stroke is reduced. Q: What additional medications will be given to me before and after the procedure? A: Starting prior to the procedure two medications will be given to you to help protect your esophagus. After the procedure you will typically be placed on two separate diuretics. Patients typically will accumulate fluid as a result of the procedure and usually for a week after the procedure the diuretics are given. Sometimes anti-arrhythmic medications are given for sometime after the procedure to prevent early recurrences of the arrhythmia. Also, if AF does occur after the procedure, anti-arrhythmic medications may also be prescribed, and often may be more effective than prior to ablation. Q: Why is an MRI or CT scan done prior to the procedure? A: This pre-procedure imaging helps with defining your atrial and pulmonary vein anatomy and the images are used during the procedure to help guide the location of the ablation. Q: What is the success rate of the procedure? A: This depends on many factors. It is very important to note that atrial fibrillation ablation is not a perfect procedure. There can be many areas in both atria that can serve as drivers for atrial fibrillation, and it can be difficult to identify and successfully ablate all of these areas in a single procedure. In addition, other areas can develop over time, so that a procedure can be successful for some time then stop working. The highest success rate is in patients who have recent onset of their arrhythmia, have paroxysmal atrial fibrillation (meaning the AF lasts for shorter periods and stops on its own), have normal or only slight atrial enlargement, are not overweight, do not have sleep apnea, and whose blood pressure is well controlled. In this group of patients the success rate for a single procedure can be as high as 75-80 percent. In most of these patients, the drivers for atrial fibrillation are in the pulmonary veins, and can be cured by conventional pulmonary vein isolation. In patients with longer duration of atrial fibrillation, persistent AF (meaning in it continuously or requiring cardioversion), who have significant atrial enlargement, who are overweight, who have sleep apnea, or who have poorly controlled hypertension or continued alcohol use, the success rate can be lower, even as low as 50% long term. We therefore recommend before an ablation aggressive weight loss, evaluation and treatment of sleep apnea, aggressive control of blood pressure to completely normal values, and minimizing alcohol intake. Q: Does AF occurring in the first month or two after ablation mean that the procedure did not work? A: No. Although we would rather not see arrhythmias during this time (the time period after ablation is often referred to in studies as the “blanking period”), sometimes these arrhythmias quiet down on their own. The thought is that the ablation can cause some irritation that eventually quiets down. However, the procedure can be unsuccessful in a significant portion of patients, and additional procedures may be necessary (see below). Q: Will more than one procedure be required to satisfactorily treat my atrial fibrillation? A: As noted above, atrial fibrillation ablation is not a perfect procedure and the success rates are unfortunately lower than we would like, especially in patients with persistent atrial fibrillation with enlarged atria. Therefore, a significant proportion of patients undergoing atrial fibrillation ablation will require repeat procedures. We have seen patients who require three and rarely four procedures to treat their AF. The good news is that often the repeat procedures are shorter in duration and with multiple procedures success rates even in tougher cases can approach 90 percent. Q: What are the potential complications of atrial fibrillation ablation? A: There are many potentially serious complications of this procedure. These include (but are not limited to) cardiac perforation (hole in heart, which could require drainage of blood from around the heart or even surgery), stroke, death, valve damage, narrowing of the pulmonary veins (known as pulmonary vein stenosis), heart block requiring pacemaker implantation, damage to blood vessels in the femoral area, hematoma/bleeding, phrenic nerve paralysis (damage to the nerve that supplies the diaphragm muscle causing breathing difficulties). A rare but often fatal complication is the formation of an atrio-esophageal fistula (a connection between the heart and esophagus), which typically forms one to 6 weeks after the procedure; for this reason we ask that you call our office immediately if after ablation you have fever, difficulty swallowing, or neurologic symptoms. Q: What type of followup is required after the procedure? A: Often times an echocardiogram is ordered a week or so after the procedure to rule out any fluid around the heart. Typically you will then be seen in the office a few weeks after the procedure. After that, we may obtain a Holter Monitor, Event Monitor, Alivecor Monitor, or even an Implantable Monitor, to assess the success of the ablation and to pick up any arrhythmias that might not be felt. Subsequently we may see you on an intermittent basis. However we often return the patient back to their primary cardiologist for follow up. Q: Can I stop my anticoagulant or blood thinner after the procedure? A: This is a complex and controversial question. If your risk for a stroke is fairly low (a low CHADSVasc2 score), in many instances with shared decision-making between the doctor and patient going over the risks and benefits of each approach, the anticoagulant may be stopped. In some instances it will be recommended that the anticoagulant be continued indefinitely. In some cases various types of monitoring may help make the decision. This technology uses a multielectrode (64 electrodes) basket recording and mapping catheter to record electrical signals during atrial fibrillation. Areas of rotational (Rotor) and focal electrical activity are identified using specialized computer software and displayed (see videos). These areas are then ablated. Studies have shown that ablation of these areas that may be “drivers” of atrial fibrillation increases the success rate of atrial fibrillation ablation procedures. The hybrid (also known as convergent) ablation procedure for atrial fibrillation involves both a surgical approach which ablates the outer surface of the heart (and can include ligation/clipping of the left atrial appendage), combined with a subsequent catheter ablation procedure which ablates the endocardial (inner surface) of the heart. The catheter ablation can be performed on the same day of the surgical procedure, on the following day, or at a later date. There are many types of hybrid procedures. For the surgical portion of the procedure, some involve a left-sided thoracoscopic approach, some involve a bilateral thoracoscopic approach, and another involves a sub-xiphoid approach. Our preferred approach to the hybrid procedure is to have the surgeon perform a left-sided-only thoracoscopic approach where the left atrial appendage is clipped using an Atricure clip, the left-sided pulmonary veins are isolated using a radio frequency clamp, and the posterior wall is ablated. Subsequently, weeks later, catheter ablation is performed to complete the posterior wall ablation, right-sided pulmonary vein ablation, possibly additional ablation in the left atrium, and then right atrial ablation. The advantage of this procedure is theoretically it may be more effective than catheter ablation alone. This would be especially true for persistent atrial fibrillation. In addition, because the appendage is clipped theoretically this may significantly reduce the chance of stroke and even allow discontinuation of anticoagulation. This new technology uses a balloon catheter, which freezes and thereby ablates the tissue around the pulmonary veins, electrically isolating them. Instead of heating the tissue to destroy it as is the case with radio frequency catheter ablation, this technique uses extremely cold temperatures. A big advantage of this procedure is that it is much faster than ablating in a point-to-point manner with a radiofrequency ablation catheter. Disadvantages include a higher incidence of phrenic nerve injury, and the fact that it is not as useful for patients with persistent atrial fibrillation, who often require ablation in other areas than the pulmonary veins. From the manufacturer (Medtronic): One method for treating paroxysmal atrial fibrillation (PAF) is cryoablation using the Arctic Front Advance cryoballoon catheter. As its name indicates, the Arctic Front Advance cryoballoon (shown at left) delivers a refrigerant through an inflatable balloon to freeze tissue and disable unwanted electrical circuits that contribute to PAF. Arctic Front Advance is a safe, effective, efficient and straightforward medical device for treating PAF. This second generation technology builds upon the proven effectiveness of the original Arctic Front cryoballoon and the two technology platforms have been used to treat over 100,000 patients in more than 800 centers worldwide. Because of its balloon shape, Arctic Front Advance allows physicians to reach and treat pulmonary veins (the site of unwanted electrical currents which trigger your AF) quickly and efficiently. As with any medical procedure, there are benefits and risks with catheter ablation. Many patients who were treated with Arctic Front Advance cryoballoon experience a welcome improvement in their quality of life as unpleasant symptoms such as shortness of breath, fatigue, and weakness lessen or disappear. The Procedure: Cryoablation prevents unwanted electrical currents from traveling from the pulmonary veins (large blood vessels that carry blood from the lungs to the left atrium of the heart) and spreading to the atria (the upper chambers of the heart). This is done with a technique known as pulmonary vein isolation that targets the tissue where the veins and the atria connect and prevents it from spreading unwanted electrical currents. 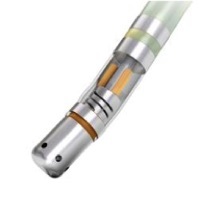 The Arctic Front Advance cryoballoon catheter was developed specifically to achieve pulmonary vein isolation. In the procedure, the physician makes a small cut in the groin area through which to insert the catheter. The physician threads the catheter to the left atrium of the heart. Then he/she creates a puncture in the wall that separates the left and right sides of the heart. The puncture provides access to the left atrium. 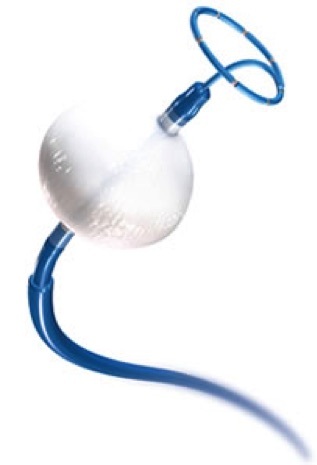 The cryoballoon catheter is introduced into the left atrium. The physician inflates the balloon and moves it to the opening of the pulmonary vein. The goal is to close off the opening of the pulmonary vein completely, which stops the flow of blood between the atrium and the vein (this is called occlusion). Once occlusion is confirmed, the physician introduces liquid refrigerant into the balloon. The refrigerant evaporates and removes heat from the heart tissue at the opening of the pulmonary vein where the balloon is in contact with it. As a result, the tissue is scarred and may no longer spread the electrical currents that cause atrial fibrillation. How Arctic Front Advance Cryoballoon Works: Arctic Front Advance cryoballoon creates circumferential lesions, isolating each pulmonary vein with minimal energy applications, delivering consistent and repeatable results. Arctic Front Advance provides physicians a straightforward four-step approach for PVI. The cryoballoon is deployed in the left atrium and the Achieve™ Mapping Catheter is inserted into the target vein. The cryoballoon is inflated in the atrium before being advanced toward the wired vein. The balloon is then positioned at the antrum of the pulmonary vein. Contrast dye is then injected through the guide-wire lumen to assess vein occlusion via fluoroscopy. Step 4: Ablate and Assess PVI The cryoballoon ablates where the balloon is in contact with the tissue. The device’s anatomical shape and large surface area creates circumferential lesions with minimal energy applications. The Achieve Mapping Catheter is then used to confirm pulmonary vein isolation. This technique has proved curative for many different types of arrhythmias. 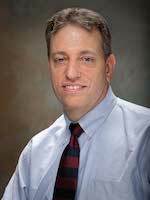 In the late 1980s, during his electrophysiology fellowship at Yale, Dr. Mark Marieb (now system director of the Electrophysiology Lab at the Heart & Vascular Institute) visited Dr. Warren (Sonny) Jackman in Oklahoma City. Dr. Jackman, considered the pioneer in the field of radiofrequency catheter ablation, and first used the procedure for supraventricular tachycardia (SVT) due to AV nodal reentrant tachycardia and SVT due to accessory pathways. After visiting Dr. Jackman twice, Dr. Marieb brought his training experience back to Yale, where he began performing the procedure almost 30 years ago. Since that time the use of this procedure has expanded dramatically. Dr. Marieb performs this procedure for many different types of arrhythmias. This includes supraventricular tachycardia due to AV nodal reentrant tachycardia, atrial tachycardia, and SVT due to accessory pathways including the Wolf Parkinson White syndrome. Other arrhythmias that are routinely treated with this procedure include ablation of atrial fibrillation, atrial flutter, ventricular tachycardia, and frequent premature ventricular contractions, as well as catheter ablation of the atrioventricular node. Cryoablation is also performed for arrhythmias originating near the AV node in normal electrical system of the heart. This helps avoid the risk of injury to the natural electrical connections of the heart, avoiding pacemaker implantation. We also offercryo-balloon ablation for paroxysmal atrial fibrillation. The procedure is typically performed under sedation either with intravenous sedation or even general anesthesia. The femoral veins are typically used to access the heart; sometimes the femoral arteries are used. Thus this is not technically a surgical procedure although invasive. The procedure can take anywhere between two and eight hours. Electro-anatomical mapping systems are used to help guide the ablation and reduce x-ray and fluoroscopic exposure. Initially the arrhythmias are “mapped”; once localized the ablation catheter is navigated to the area of interest and radio frequency energy is delivered through the tip of the catheter which essentially heats and destroys the tissue responsible for the arrhythmia. The success rates are high. However, they do vary in regards to patient characteristics as well as the type of arrhythmia itself. For instance, ablation of atrial fibrillation carries a lower success rate than other types of arrhythmias. It should be noted that there are some risks of the procedure as it is invasive. These include and are not limited to heart block requiring a pacemaker, stroke, death, hole in the heart requiring drainage of blood from around the heart or surgery, damage to heart valve or vessels, bleeding, vessel injury where the catheters are inserted, phrenic nerve damage interfering with diaphragmatic function and breathing, among other more rare complications. Overall, these complications are not very common, but need to be considered in decision-making. In most cases, the patient is discharged on the following day and can return to work within a few days. There are some patients who will experience a recurrence of their arrhythmia, but most are permanently cured. If there is a recurrence the success rate of a repeat procedure is high. This catheter enables direct and real-time measurement of contact force during radiofrequency catheter ablation procedures for patients suffering from drug-resistant paroxysmal atrial fibrillation (Afib), sustained monomorphic ischemic ventricular tachycardia (VT) and Type I atrial flutter. Biosense Webster Inc.’s Thermocool Smarttouch Catheter provides continuous contact force information when applying radiofrequency energy (RF) against the heart wall. This information has been shown to improve outcomes; inconsistent tissue contact may result in incomplete lesion formation that could result in inefficacy and the need for additional treatment, and too much contact may result in tissue injury, which may lead to complications, including perforation of the heart. The Thermocool Smarttouch Catheter provides direct, real-time quantitative feedback graphically displayed on the company’s Carto 3 System upon tissue contact. The Thermocool Smarttouch Catheter was evaluated as part of a prospective, multicenter study called the SMART-AF Trial in patients with drug-resistant symptomatic paroxysmal atrial fibrillation. One-year results from the trial showed that patients experienced a 74 percent overall success rate after treatment with the Thermocool Smarttouch Catheter. Data from the trial showed higher success rates the longer physicians stayed within a targeted contact force range, with one-year results demonstrating an 88 percent success rate when physicians stayed within a targeted range greater than or equal to 85 percent of the time. The trial demonstrated for the first time that it is the consistent and stable application of contact force on the heart wall that positively impacts the efficacy of the procedure in this patient population.